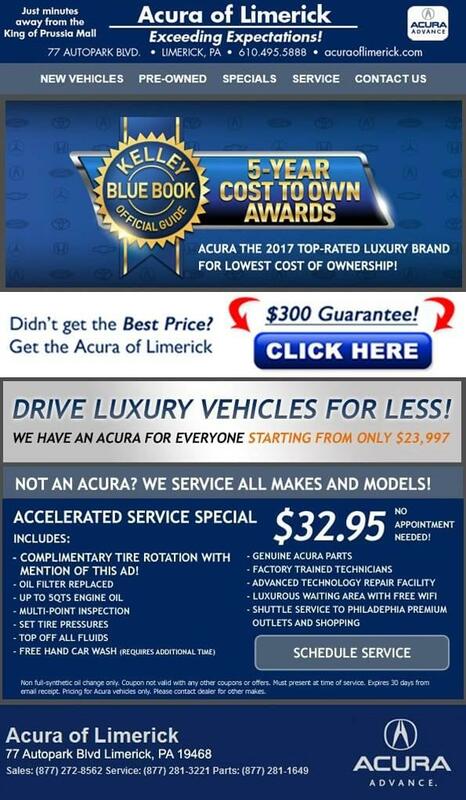 Negotiate your Best Deal, and then Save MORE with the Acura of Limerick BONUS! Receive a good price? Limerick will always Beat It, with our Price Guarantee! *Must take new retail delivery of vehicle before end of month. Must mention offer before completion of deal, and show on phone, mobile device, or printed page. Offer subject to change, without notice. Please call for details.